Future of computing is promising and it is in quantum computing. But in today's days are of cloud computing. The adoption of cloud computing has already peaked. 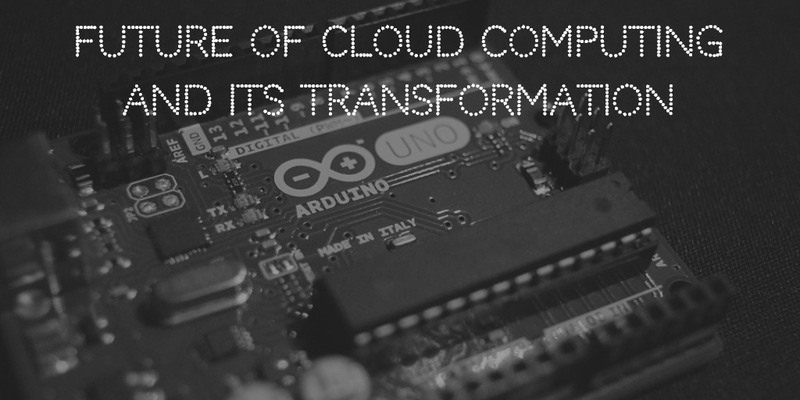 The businesses have flourished and new business models are quickly being tested thanks to cloud computing. The advancement in cloud technologies caused them to integrate into our day-to-day lives to an extent that they have become a commodity. In either way, non-tech-savvy people do not really care how part of online services they consume. Instead, people look at the value add any service provides into their lives. Gmail is a typical example of cloud commodity services along with their host of gsuite services. 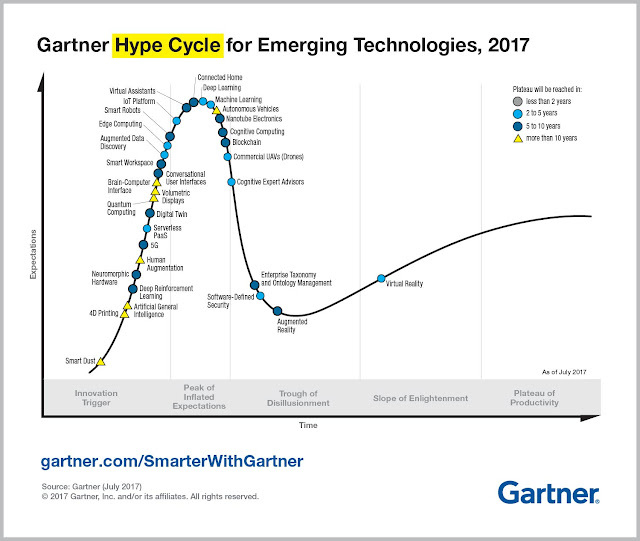 This is the year 2017, and Gartner released their Hype Cycle for emerging technologies. Any technological trend if listed on peak then it is one of the hottest technologies. We can clearly see that IoT and connected home are listed at the peak along with machine learning, deep learning. It can be also noted that edge computing is also part of the peak of inflated expectations. What it infers that edge computing will dominate in future if we look through the lens of connected devices. Let's look at the some of the numbers from Gartner. In 2014, Gartner predicted that by 2020, there would be 26 billion devices connected to the internet. This is staggering number though the numbers are bit old if we discount these numbers by 30 percent then still the total connected devices would be around 19 to 20 billion. In Feb 2017, Gartner predicted that there would be 8.5Billion devices connected to the internet by the end of 2017. Now the real question is why are we looking at these numbers and what it has to do with cloud computing. We are coming to it. The emergence of connected devices has pushed a lot of computing to edge devices that process data. Let's take an example of driverless cars. It is imperative to perform all kinds of computation at the circuits installed inside car computers. The kind of response that driverless cars demand is in microseconds or milliseconds. These computations cannot be pushed to central processing computers in the cloud and wait for the response and then make a decision. There would be latencies such as network latencies, latencies caused by storage, latencies caused by computing failovers and other nonpredictable circumstances. I hope this argument rests any counter-discussions to why we require computations and decision making at edge devices. Else human lives could be a stake. Without edge computing, human lives would be at stake in connected world. Again if we go back Gartner hype cycle, we can clearly see that blockchain technologies will be mainstream in next 10 years. (My own understanding is that blockchain based products and technologies will become mainstream in next 3 to 4 years.) The edge devices may push some of the computations and processing to nearest locally available connected devices to reduce the latency of cloud. These locally connected devices would process information quickly if they have sufficient bandwidth. The cost of such computing can be paid using cryptocurrencies such as Bitcoin. If we see closely, all these dots (IoT, Connected devices, blockchain) are now connecting together and there would be hardly a requirement for cloud computing if we exclude applications that demand offline processing. There is very little doubt that edge computing will shape the future of computing and lives of everyone on our planet. All day to day devices will become smarter and more intelligent and perform all of their decisioin making. 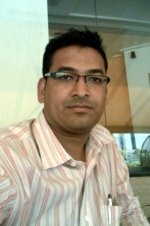 Only the information that requires intensive computation will be in cloud environment for on-demand access.